The tiles around the top of the stuccoed post that surrounds the black mailbox match the tiles in the entry walk. 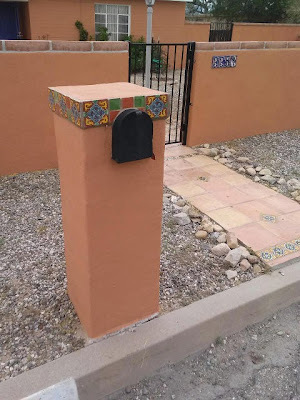 Address tiles on the wall by the entrance make it a package. I spotted this trio as I was driving near Reid Park on March 13th.